The refurbishment of 3 industrial units, C1, C5 & D3 prior to marketing for new incoming tenants. The internal works consisted of a full strip out to the office and kitchen areas, the removal of two storey office accommodation and mezzanine floors within the warehouse areas in order to create the original warehouse space. The refurbishment saw new suspended ceilings, the formation and fitting of new kitchens, decorations carried out throughout with new floor coverings fitted to the office, reception kitchen and toilet areas. 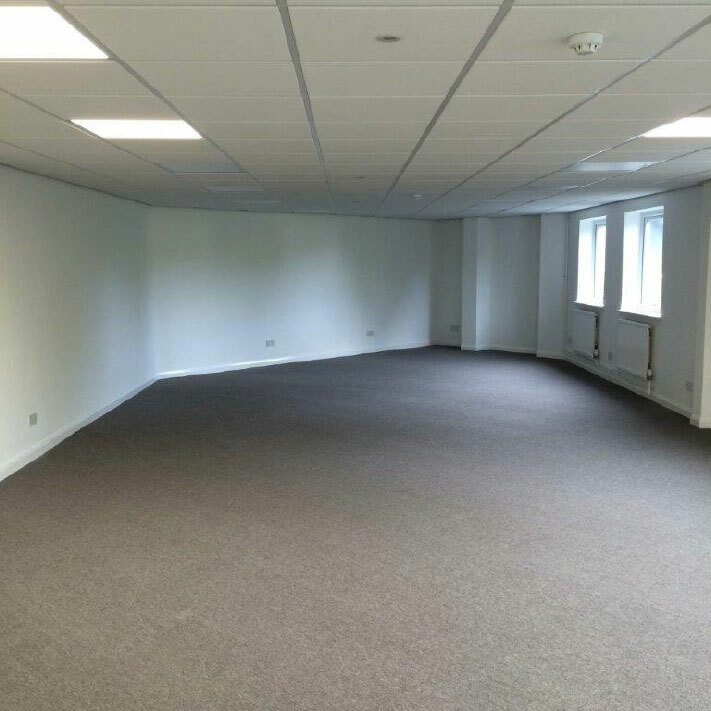 Contractors design included for a new lighting scheme throughout the office and warehouse areas, the upgrade of the fire alarms and the installation of new boilers for the heating system.